Hundreds of North American auto dealerships will soon have the ability to become more efficient in booking repair appointments for their customers now that two data management software companies have integrated. Xtime's online service appointment scheduling tools will soon communicate with Quorum's dealership and customer management system, Xsellerator. The partnership, which is not a merger but rather the integration of two software programs, will allow thousands more customers to schedule service appointments online. Xtime, which is owned by Cox Automotive, is a leading provider of service scheduling and workflow software to dealerships across North America. Xtime processes more than 2.5 million service appointments each month for dealerships that generate about US$6 billion annually for the stores. Xsellerator, meanwhile, is a dealership and customer management software product that automates, integrates and streamlines every process across departments in a dealership, from parts orders to warranty claims and more. With their ability to communicate to each other, it can make a dealership’s service bay work more efficiently. The two companies conducted a pilot with about 10 clients before officially announcing the integration. Xtime has deals with 24 automakers worldwide. 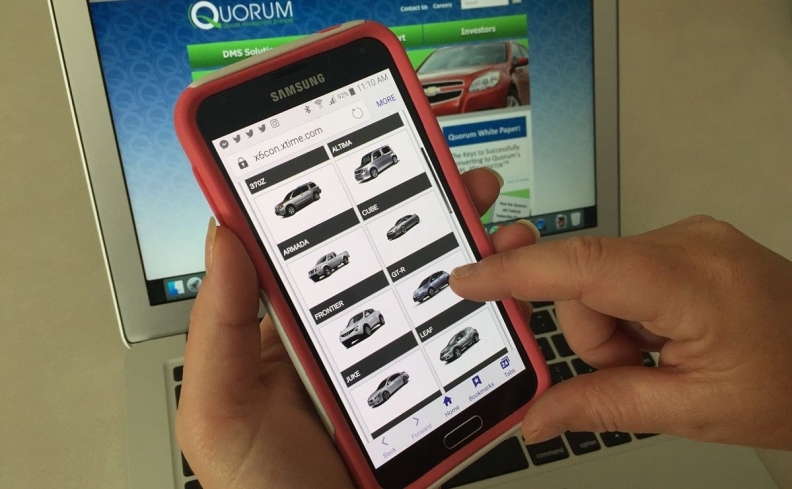 Quorum’s Xsellerator works with dealerships from Ford, Chrysler, General Motors, Nissan, Subaru and more. If the integration were used by every dealership and business that currently uses one of the two systems, the client base could be in the thousands. Xtime alone has about 6,000 dealership customers. Xtime goes beyond scheduling service, with customer relationship management products and more. A version of Xtime now lets dealership staffers anticipate customer needs and matches them with service promotions and coupons. Xtime's system also prompts technicians to alert the customer to get the repair done at a convenient time at a favourable price and before trouble develops. Quorum helps a dealership do other work in the service department, such as claim payment reconciliation and offers access to a labour time guide.